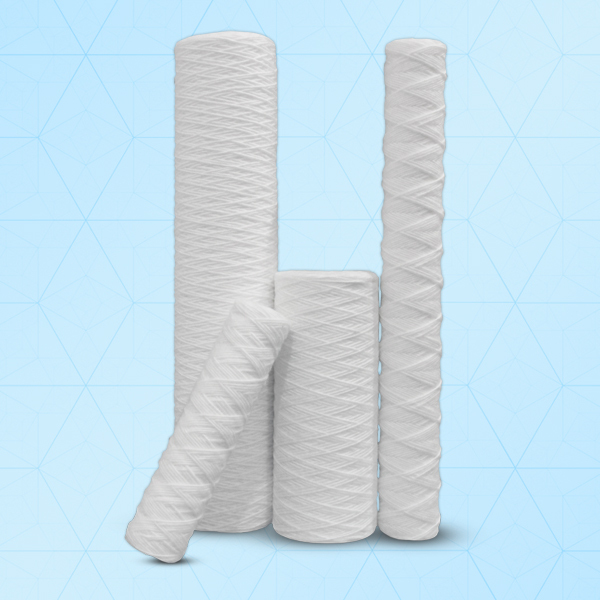 Wound Filter Cartridge are an economic, compact, easily installed and maintained filtration system for removal of particulates from liquid. Wound cartridges are manufactured from a variety of carefully selected raw materials. Made of Polypropylene string or cotton string or Glass fiber reeled on the polypropylene core or SS Core help them to give high flow rate with excellent ability to retain dirt. Available in wide range of materials and micron ratings ideal for General Process Industry: Pre filtration for water purification. Food & Beverage Industry: Course filtration for all kinds of beverages and wine like edible oil, coco butter, sugar, saccharin, starch syrup, soft drink, beer. Chemical Industry: Acid, base, organic solvent, plating solution, magnetic coating, polyester resin & Oil & Gas Industry: Amine, glycol, lubricating oil.